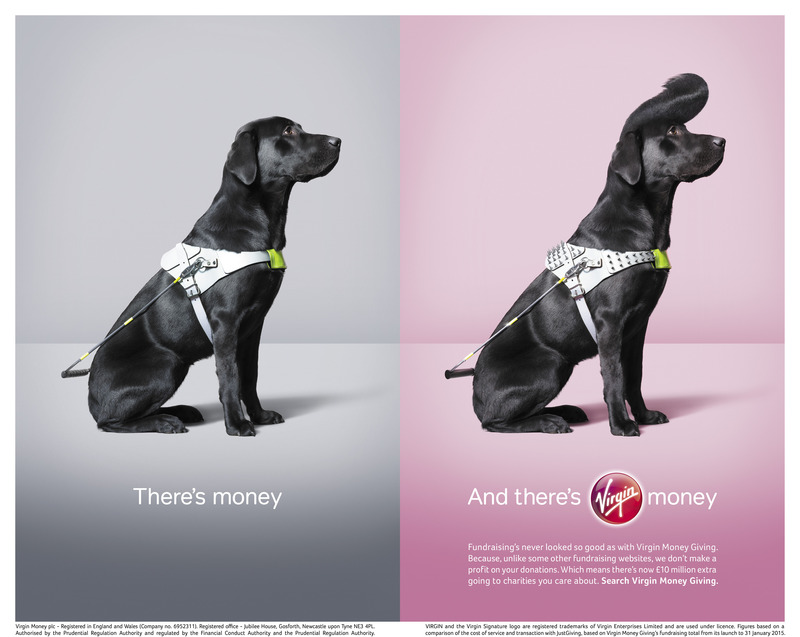 Virgin Money is running an integrated advertising campaign in the UK with the tag line, “There’s Money, and there’s Virgin Money”. The first commercial in the campaign showed a pigeon dancing to the 1979 ska hit “On My Radio” by The Selecter. 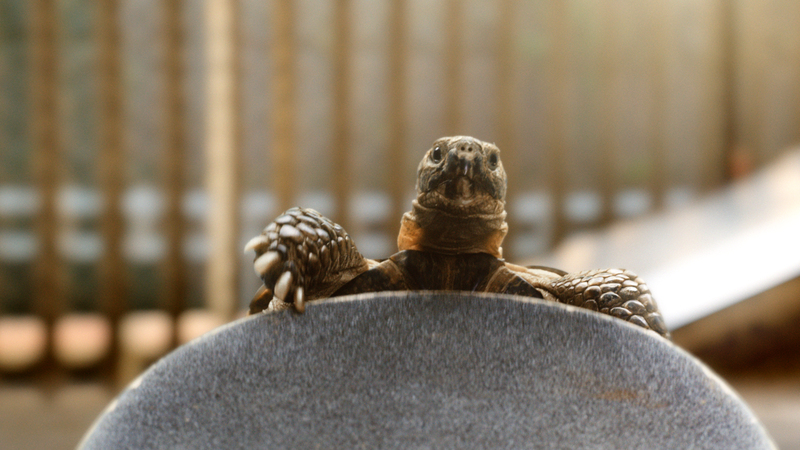 The second commercial shows a tortoise skateboarding to the sounds of “Tick Tick Boom”, the 2007 hit by The Hives. 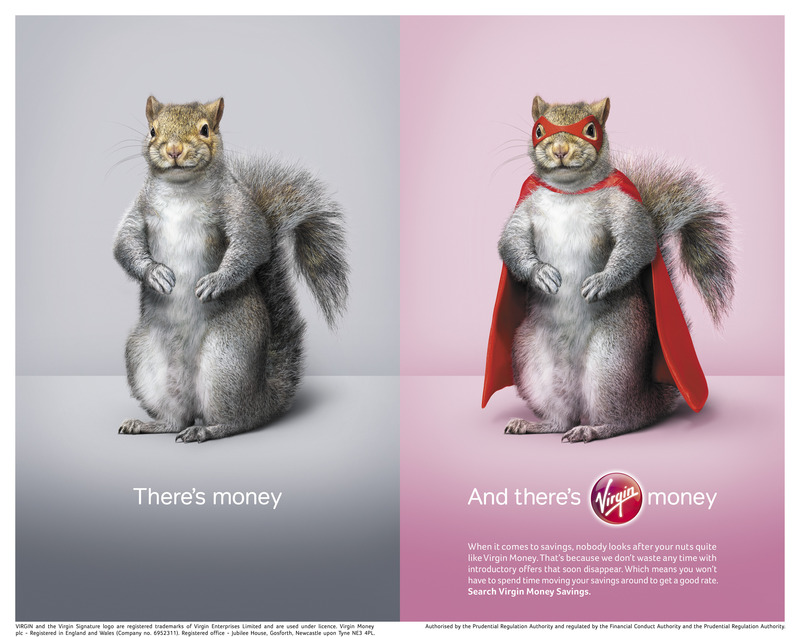 A series of press ads presents a squirrel in a super-hero cape, a goat with a moustache, a guide dog with an Elvis quiff and a sloth lounging in an armchair – contrasting them with their more ordinary counterparts. 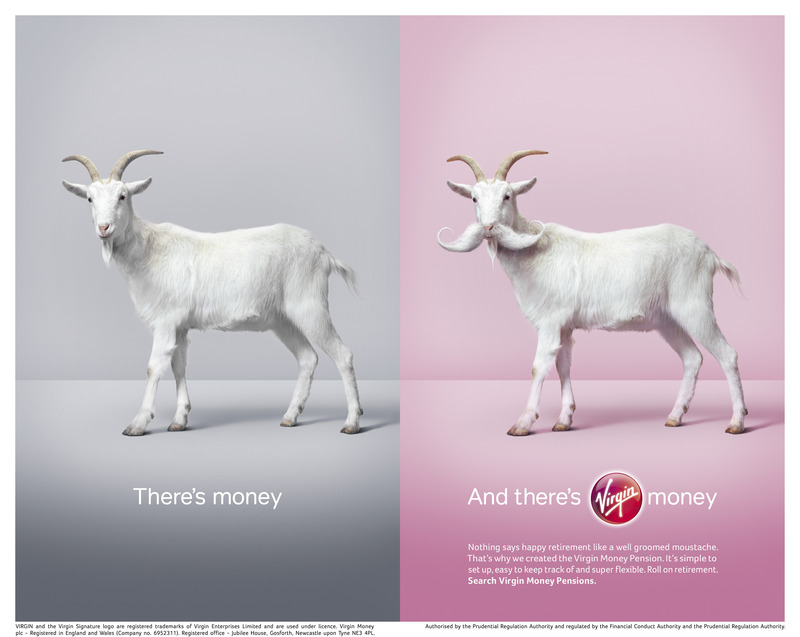 The campaign celebrates Virgin Money’s brand differences, representing the bank as a better, bolder way for customers to manage their finances. The There’s Virgin Money campaign was developed at The & Partnership by creatives Danny Hunt and Gavin Torrance, producer Emma Hovell and account director Beatrice Clarke working with Virgin Money marketing director Paul Lloyd. Content was developed at AllTogetherNow by CEO Conor McNicholas. Media was handled at M/SIX by CEO Jess Burley. Filming was shot by director Andy McLeod via Rattling Stick with producer Simon Sanderson. Post production was done at Big Buoy by VFX supervisor Jim Allen and producer Barny Wright. Colourist was Aubrey Woodiwiss at Electric Theatre Collective. Editor was Jonnie Scarlett at The Quarry. Sound was produced by Parv Thind at Wave Studios. Music is “Tick Tick Boom” by The Hives and “On My Radio” by The Selecter. 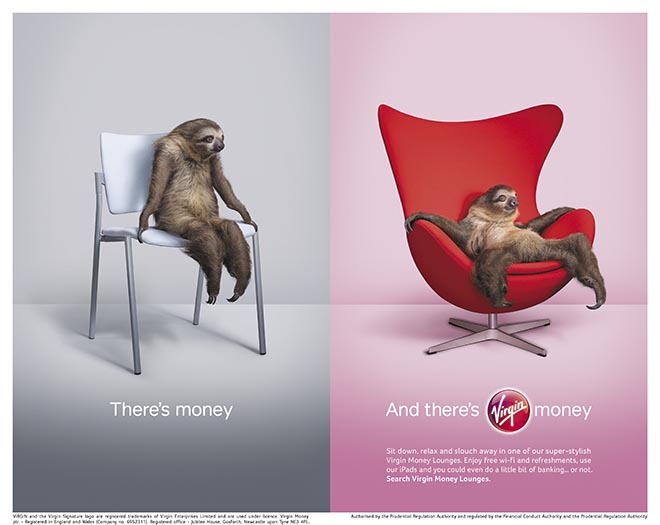 Print ads were produced by photographer Tim Flach and retoucher Antony Crossfield at Peter Bailey London.